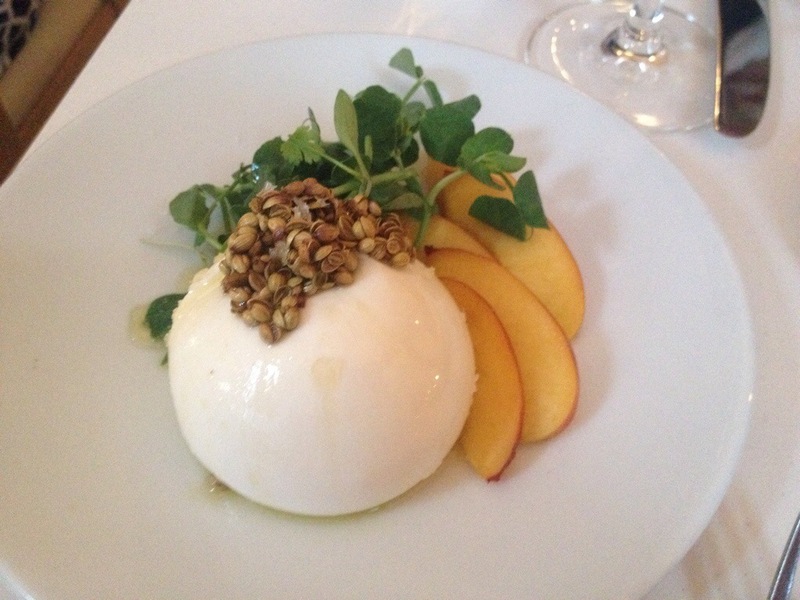 I realized that I didn’t document my food experience in London or Paris very well on my blog. Borrough Market in London was great and so was that dinner at Le Comptoir in Paris. This week’s blog will focus on my best eats in London and next week will be my favorites in Paris. I’ll start out with my favorite coffee shop in London. I was lucky to find Tapped and Packed one block away from my hotel. I was at T&P every morning which enabled me to redeem a frequent drink card on my last day for a free beverage. 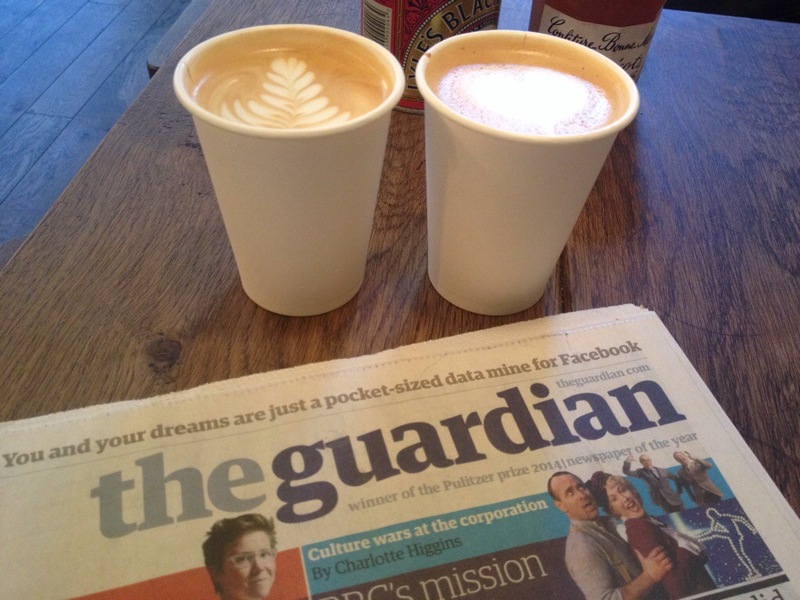 Sometimes I ordered a skinny latte and other times I got a flat white. Lots of customers were there for their drip coffee. I enjoyed the vibe there and even tried their delicious homemade sandwiches. 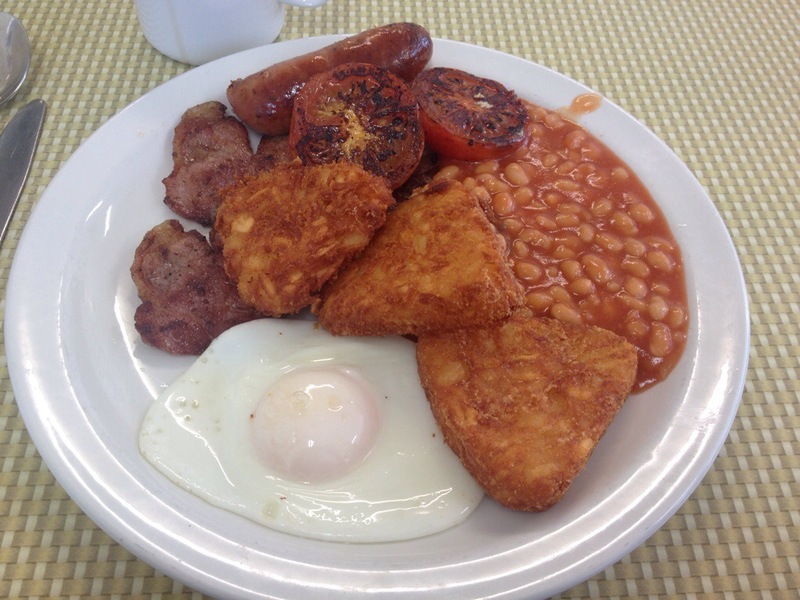 I sat down for an actual English breakfast once during my time in London and it was at Regency Cafe. I ordered the set breakfast which came with an egg, bacon, sausage, baked beans or tomatoes, bread and butter, and coffee. I asked for both the beans and the tomatoes and an extra side of hash browns. Hey, I wasn’t coming back, at least not on this trip. My favorite things were the baked beans, the tomatoes, and the hash browns so I am glad I ordered the extras. 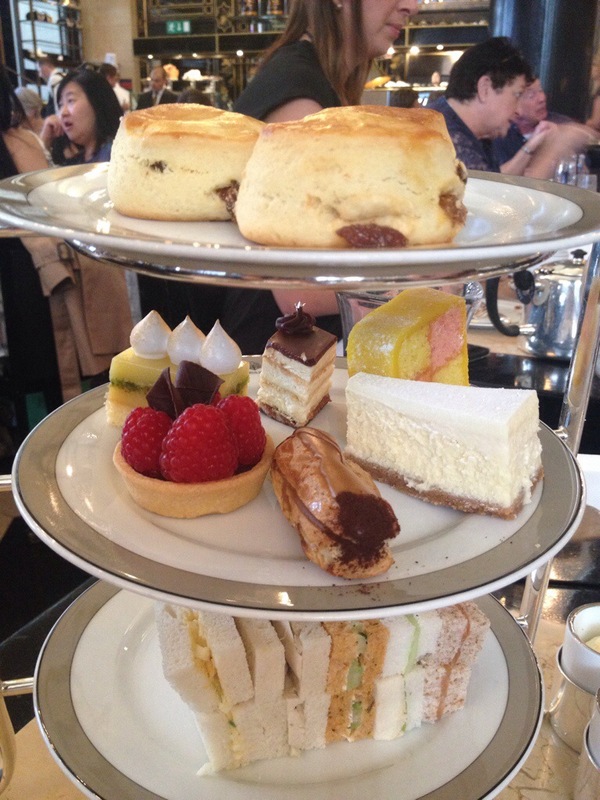 My friend and I actually had Afternoon Tea twice in London. The better of the two was at The Wolseley. It is a fancy restaurant with servers that are very formal and attentive. I have had High Tea at plenty of nice places with good tea, sandwiches, scones, and desserts. But in no other place besides London can you get such amazing scones with clotted cream and jam. The whole experience of people having their nose up in the air and their pinky pointing up is worth it for the scones, clotted cream and jam. I actually had scouted out a restaurant serving dim sum a couple of months before my holiday started. Coming from San Francisco, it’s hard to imagine wanting to have dim sum while in London. Let’s just say A. Wong puts dim sum to a whole new level of sophistication. 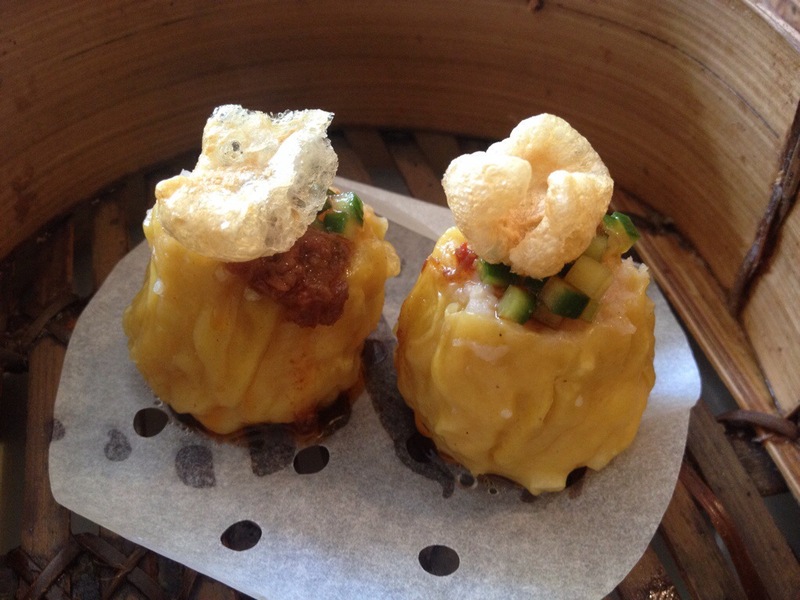 Imagine a siu mai (steamed pork dumpling) with a crispy chicharrones on top. 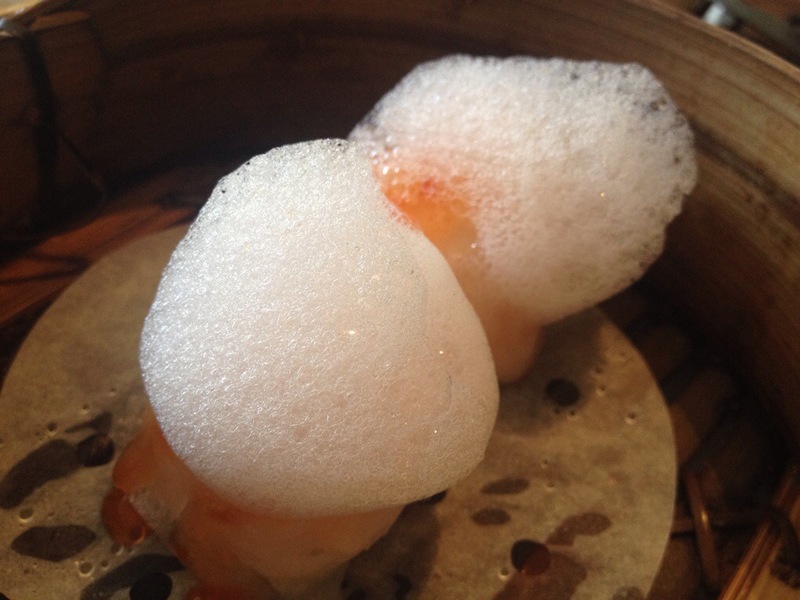 Imagine a har gow (steamed shrimp dumpling) with a citrus foam on top. That is what I am talking about! My favorite dinner was at Nopi. I discovered Chef Yotam Ottolenghi about six months ago and when I found out he had restaurants in London, I knew I had to go. Nopi serves Mediterranean food. My friend and I shared quite a few dishes. 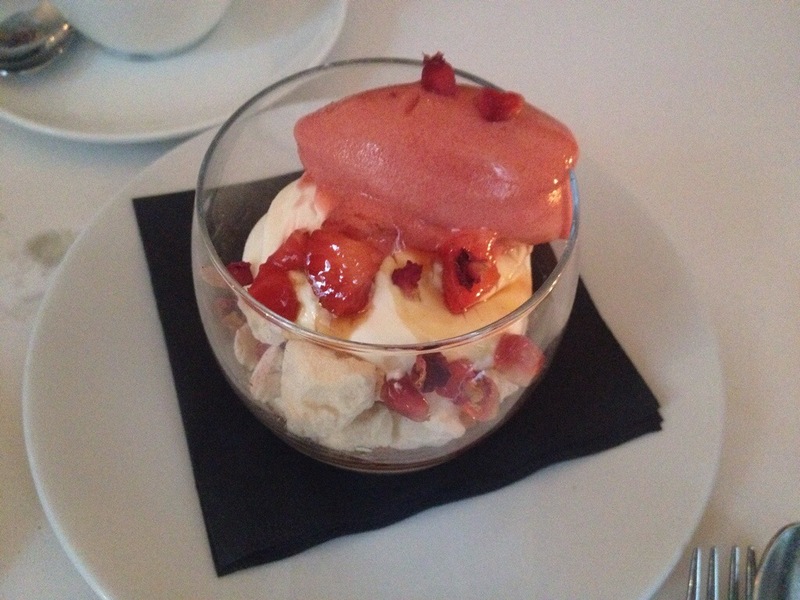 My favorites was an appetizer of Burratta cheese and peaches and the dessert called Pomegranate Mess. It’s a take on the dessert Eton Mess with meringue, cream, and strawberries. Our version had mascarpone and sorbet. There goes my London picks. Check back next week for my Paris picks! 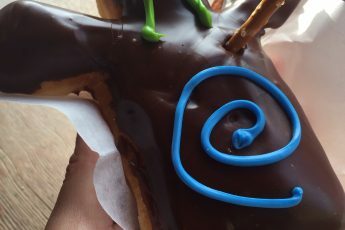 Such a fun and delicious trip! We ate, we drank and we conquered! Thanks for the memories! That siu mai looks incredible!